Add juices, zest, and salt to the mixture, mix until combined. Add scalded milk, continue to mix until well incorporated and smooth. Add 2 cups of gluten free all purpose flour, combine well. Add yeast mixture, mix until well incorporated. Slowly add remaining flours and starch until a good, coherent bread dough comes together. It should be sticky to the touch. Put dough into a lightly greased bowl or pot, cover top with plastic wrap, and allow to rise in a warm area until doubled in size, about 1 1/2-2 hours. Now here’s the fun part. Reserve about 1/3 of the dough for decorations, and divide remaining dough out among the pans you’ll be using (grease them first!). For reference, we used an 8″ round pyrex pot, and an 8″ square cake pan to bake one batch of this. Mine turned out fairly thin, next time I’ll probably use the whole amount in a 9″ round pan. For the main body of your bread , you’ll want the dough to fill at least 1/2 of each baking pan. They’ll rise a bit more, but not like crazy. Cover loosely pans and reserved 1/3 dough loosely with plastic wrap and allow to rise another 1 hour. Once your rise time is up, use the reserved dough to make designs on the top of each loaf. Braids, twists, curls, crosses and rosettes are popular/traditional, but have fun with it. (Google can be a great source of design inspiration.) Toothpicks can be used to help secure designs in place until after baking. Cover loosely with plastic, allow to rise one last time, 30 minutes. Once final rise is finished, brush entire top of each loaf with egg wash. Bake loaves for 10 minutes. Without opening the oven door, lower the heat to 325°F and continue to bake for another 20-35 minutes, depending on how thick your bread is. (Mine took 25 minutes. Cool Paska for 10-15 minutes (if you can handle the wait), then gently remove from pans and transfer to a wire rack or wooden cutting board to continue cooling. Cut into one of your warm loaves, slather with butter, and … don’t plan on going anywhere for awhile. It’s easy to plow through a ton of this, and it will give you a bread coma. SO WORTH IT. Like many GF breads, this is best served warm… but that’s true with the full gluten version as well. I just came across your site and had to say hello as there seemed too many similarities to ignore! I’m a gluten free blogger originally from Winnipeg (currently in Wisconsin to visit my own hubby to be), and have been posting the past 2 weeks on my blog about making gf versions of German Easter dishes, reminiscent of my childhood in the ‘Peg 🙂 I will definitely have to try and make your gf Paska! Oh wow, that IS similar! Where in Winnipeg are you from? I wanted to thank you for posting this! 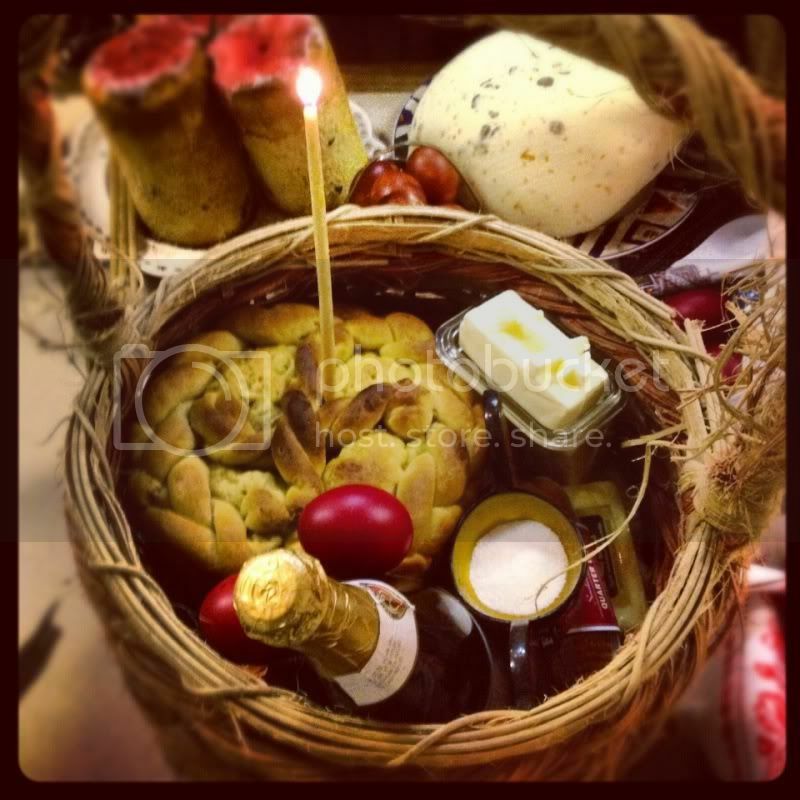 I made it for my Pascha basket a couple weeks back and it turned out amazing! I used Pamela’s Products GF bread mix instead of a GF all purpose flour and it rose up really nicely. I also added a dash of nutmeg, which really complimented the citrus. Thanks you for developing this. It helps so much in keeping my Polish/Lemko traditions alive when I have to members of my family with Celiac disease.